Roll On is a solid bit of seventies rock that keeps a frenetic amount of energy from beginning to end. The track benefits from a solid production, allowing the guitars, drums, and vocals to shine separately or as a cohesive unit. The switch between instrumental and vocal elements keeps things particularly fresh, while the narrative that is created by Morley here allows listeners to be firmly involved with the track. The coup de grace for this track has to come in the guitar solo that unites the two parts of the track. Morley is able to unite 1960s, 1970s, and 1980s rock into something that contemporary listeners can appreciate; fans of rock, pop, and alternative music will be able to find something that they can dig in Roll On. A tidy three and a half minutes, Roll On will stick around with listeners long after the track has ceased. 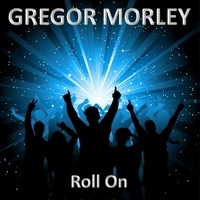 For more information about Roll On and the rest of Morley’s repertoire, visit Gregormorley.com . The website contains further information about Morley’s biography, set of live dates, and a place one can purchase each of Morley’s tracks.